is one of my favorite events of the year. It is a nice break from Thanksgiving hustle and bustle and much better than all the Black Friday and shopping madness. This year I am celebrating Thanksgiving at my parents house. I am going to make two dishes to take to our potluck. I love that we do a potluck. It takes off the pressure on one person to do all the cooking. I have a large TBR pile for this weekend. I know I won't get a chance to read them all because I won't have that much time. 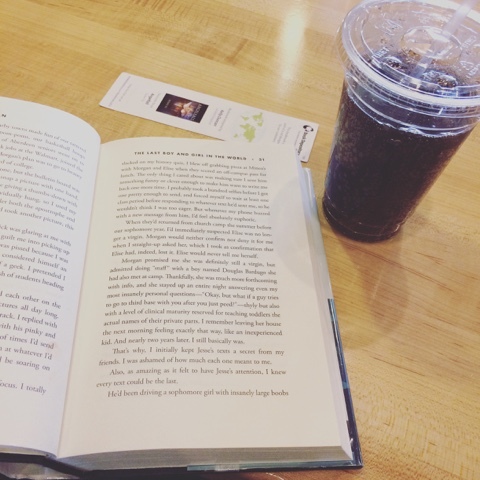 My goal is to at least finish two books. I have a photo session Friday and the Gilmore Girls comes out that day too so I won't get much reading done that day. But Saturday and Sunday I have no plans except for editing photos. 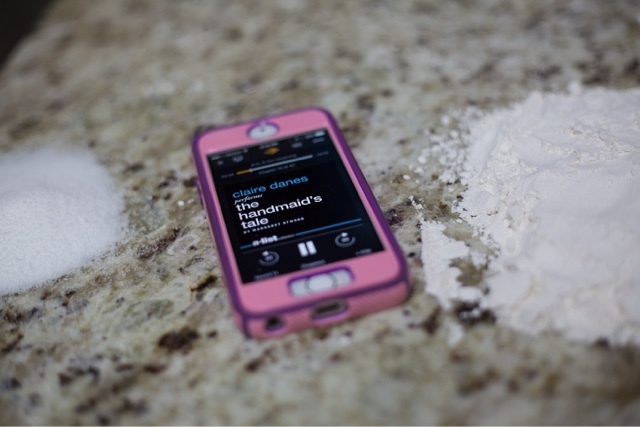 on audiobook read by Claire Danes. I love this book and I thought it was an appropriate time to read it again. I purchased it in the big Audible sale earlier this year and am excited to listen to the audiobook this time. 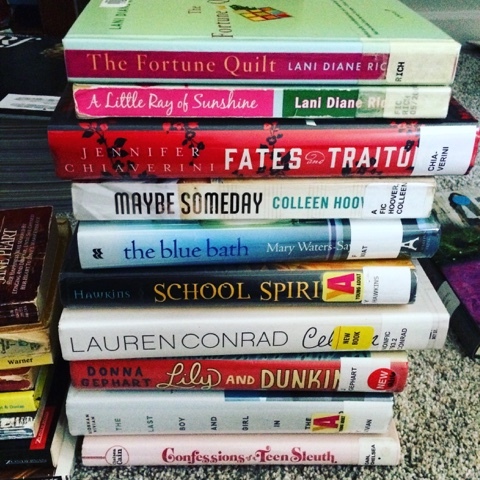 My sisters also love to read so I am sure we will be swapping recommendations at Thanksgiving. I will pass them on if I receive them. This year I am going to do one big post for Thankfully Reading so I will update here. earlier. 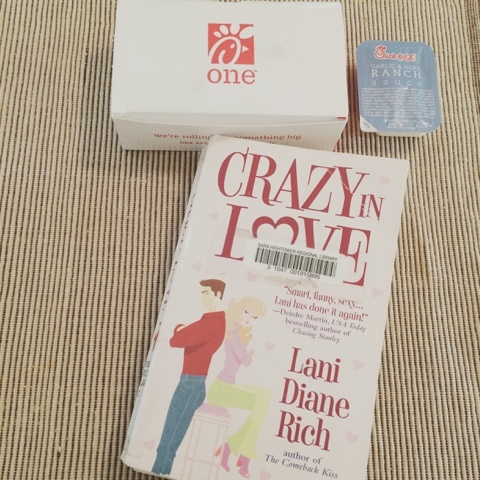 It is pretty funny and one of my favorite Lani Diane Rich books so far.
. It is a retelling of The Tempast. Loving it so far. I just realized I am reading two Margaret Atwood books. My house smells delicious from the cornbread I made for tomorrow and the mustard pork loin I made for dinner. Yummy!
. I saw this book all over Instagram so I thought I would get it from the library. It's about a deaf songwriter who finds a muse in his neighbor. I am loving it so far. Well I am headed to bed so I won't be totally worthless for Thanksgiving tomorrow. Happy Thanksgiving! I am so excited to go to my parents house and eat lots of delicious food. We have the best cooks in our family. My Grandma's dressing is my favorite dish. It is so yummy. I am surprised how much reading I got done this morning. 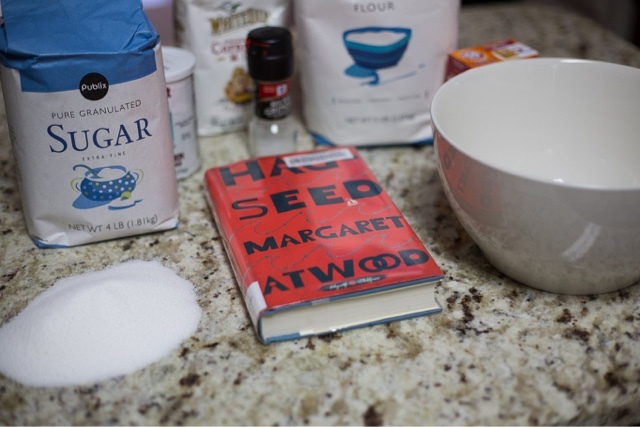 I am almost done with Hag-Seed and about half way through my audiobook. Well I am headed out. I hope everyone enjoys their Thanksgiving day! Well it has been a busy couple of days. I ended up staying at my parents house yesterday until about 6 pm. Once we got home and made delicious leftovers I wanted to watch the last episode of season seven of Gilmore Girls in order to be ready for the new episodes. We were about twenty minutes in when all the power went out and we heard a big boom. It must have been a transformer box exploding. It was awful. Our whole neighborhood was so dark. So I didn't get a chance to read because my book light battery was dead. I had a photo session this morning that was so fun. It was an awesome, hilarious family. I stopped by Dunkin Donuts on the way home and got a half dozen doughnuts. And my husband and I preceded to watch all four episodes of the Gilmore Girls: A Year in the Life with only occasional breaks for his work phone calls. No spoilers for GG so I won't say how I felt. Still need to process. And I have just been reading since we finished watching GG. I finished Hag-Seed. Loved it! It turned out to be such a good book and I recommend it highly. I am about to finish Maybe Someday and I hope to start another book before bed but we shall see. I bought the audiobook of The Lion, The Witch and the Wardrobe since it was on sale on Amazon/Audible so I will start that when I finish The Handmaid's Tale. I will be listening to a lot of audio the rest of the weekend as I have five photo sessions to process. Well I haven't read that much today. I have been busy running errands, spending time with my husband and working. I finished the Handmaid's Tale audiobook and started listening to The Lion, the Witch and the Wardrobe. I also started Lily and Dunkin which is heartbreaking. I have been terrible about updating my blog. But I have been reading in between doing other things. I planned to read all this morning and then edit photos this afternoon but my husband tricked me into going shopping this morning and we just got home. I am exhausted. I hate to shop with a burning passion and I tried on way too many clothes and we went to way too many stores. But I am excited for the few things I found. When we stopped for lunch I just blatantly pulled my book out of my bag and started reading as my husband was composing some work emails. I mean if he was on his phone may as well read. Late last night I started The Last Boy and Girl in the World. I am excited to read more of it later today. For the time being I am going to continue to listen to The Lion, the Witch and the Wardrobe while editing the sweetest newborn photos. I will check in later. I hope everyone is enjoying the final day of Thankfully Reading!